Product Consists : Bouquet of 15 Red Roses, 12 Inch Teddy Bear along with 1/2 Kg Eggless Chocolate Cake. 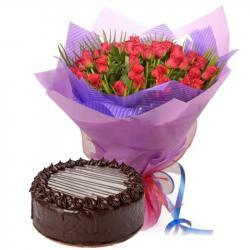 Stunning roses bouquet and cake and cute teddy to your dear one in India through Gift Across India. Red Rose is a symbol to propose to your special one in life. 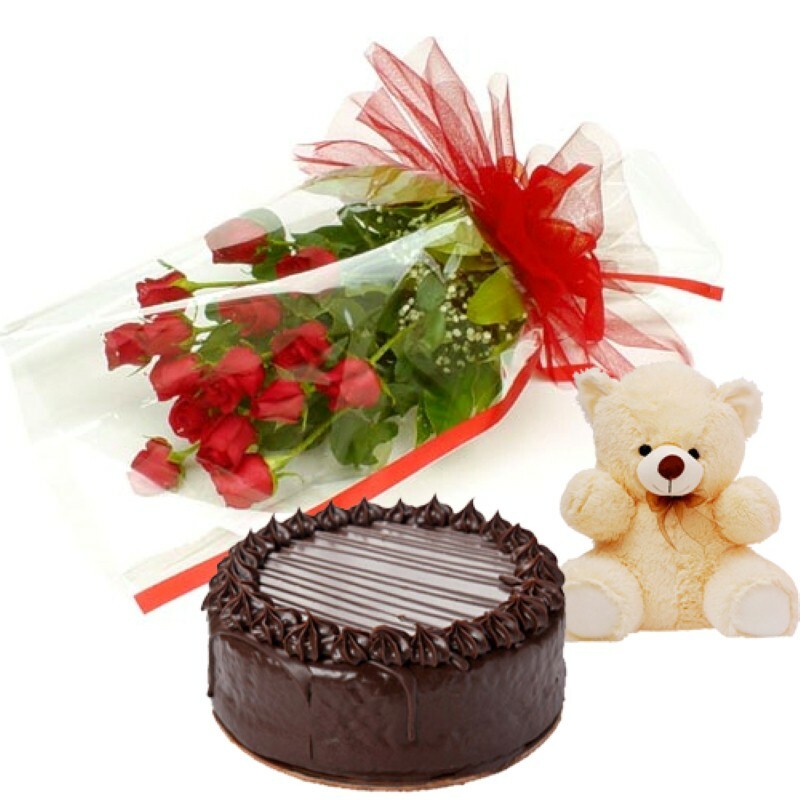 Bewilder your love ones with this impressive roses bouquet with delicious chocolate cake as your exclusive gift with other gifts like cute small teddy bear. 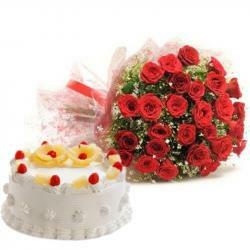 The Cake and Roses will give a good impression on your love once. 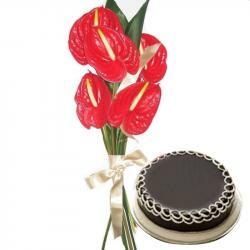 Chocolate cake is one of the best desert to eat in special valentine occasion . Teddy Bear is one It is a perfect gift for love once. Give a super surprise to your love ones on this valentine love season. 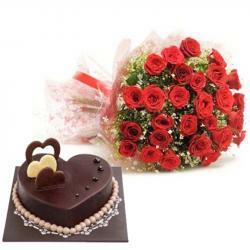 Product Includes : Bouquet of 15 Red Roses, 12 Inch Teddy Bear along with 1/2 Kg Eggless Chocolate Cake.